Since the start of the 1600's, the Rancé family in Grasse (France) had become famous for producing perfumed gloves for the aristocracy of France and Europe. In 1795 François Rancé turned entirely to perfumery. His innovative spirit led him to create extremely refined and modern perfumes, which secured him the favour of Napoleon and his wife, Josephine. Becoming the Emperor's favourite perfumer, he created for Napoleon "Le Vainqueur", "Triomphe" and "L'Eau de Austerliz". In honour of Josephine Bonaparte he also created "l'Impératrice" which was presented to the Empress in a precious Sevres porcelain box. The last example of this precious porcelain objet d'art is kept in the Rancé archives. Several generations of Rancé have followed. At the end of 1800s Alexandre Rancé moved to Milan; his place at the head of the family firm is held today by his granddaughter Jeanne Sandra Rancé with her son Jean Maurice Alexandre Rancé. Jeanne Sandra Rancé, therefore now the latest in a line of family perfumers, has revisited the Rancé archives to recreate some of the fragrances made for the imperial family. The perfumes, the bottles and the labels are replicas of the 200 year old originals. 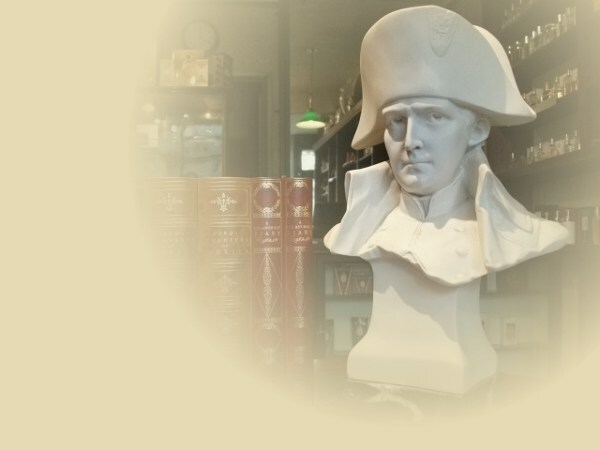 Le Vanqueur (the victor) was one of the first perfumes created for Napoleon by François Rancé, and with its soft citrus and amber notes draws its inspiration from the Mediterranean atmospheres so dear to the Emperor. Jean Rancé, son of the master perfumer François Rancé, dedicated in 1809 to the Emperor Napoleon Bonaparte a new perfume, intensely masculine, in which the liveliness of bergamot contrasts with the intensity of laurel, thyme and birch tar. Only the word Triumph could describe Napoleon's immense glory. And Triumph was the name of one of the perfumes François dedicated to the Idol of his life. With his coronation in Milan on 26th May 1805 as King of Italy, Napoleon Bonaparte became the first King of Italy, reaching the peak of his glory by sharing the dual titles, Emperor of the France, and King of Italy. "The house soon became the court favorite of the Emperor Napoleon Bonaparte, who commissioned two special and exclusive fragrances for himself and Empress Joséphine to wear. The oils for these fragrances languished in the storehouse of the firm after the end of Napoleon’s reign, but a few years ago the current owner rediscovered them and the decision was made to release them, thus making available for the first time two perfumes worn only by the Emperor and his Empress."